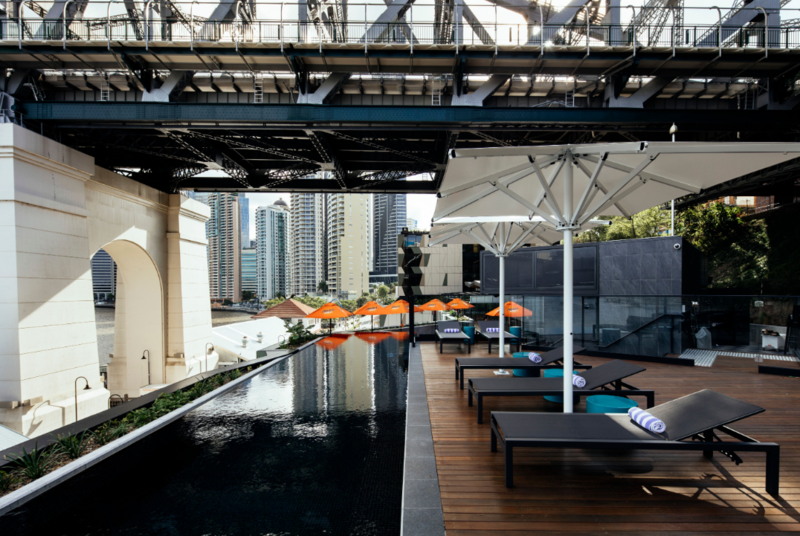 Art Series Hotels have opened the doors to its eighth art inspired hotel, The Fantauzzo, at Brisbane’s hottest new cultural hub, Howard Smith Wharves. Carved into the cliff under the iconic Story Bridge, The Fantauzzo is a masterful blend of architecture, nature and art. Inspired by acclaimed Australian painter Vincent Fantauzzo, the stunning six-storey hotel is an immersion in creativity and contemporary luxury on every level. Welcoming its first guests yesterday, the $100m flagship hotel enjoys a stellar location, raw charisma and breathtaking views of the Brisbane River and CBD. With 166 suites, The Fantauzzo also includes the relaxed Italian eatery Polpetta on the ground floor, a rooftop pool and bar, gym and state-of-the-art function rooms. Six original artworks and more than 500 giclée prints feature throughout the hotel, while guests can enjoy complimentary art tours, in-rom art channels and libraries to get up close and personal with Fantauzzo’s work. Fantauzzo’s take on photorealism inspired acclaimed design practice SJB to create a counterpoint, a contrasting backdrop to his work through dark tones and muted finishes that challenge the traditional ‘white gallery’ space. The scheme also combines raw concrete finishes with black glass and tiles to create strong accents. Natural rock and timber take cues from the cliff face and external facade, acting as an earthy installation. The angular forms found on both the facade of the building and interior elements provide further clarity and distinction between Fantauzzo’s artworks and the hotel’s design. “It’s very exciting that we can finally share this stunning property, the first Art Series hotel to open under our management, with guests visiting Brisbane from other parts of Queensland, interstate and overseas,” Accor Chief Operating Officer Pacific, Simon McGrath said. Click here to view The Fantauzzo hotel website. Howard Smith Wharves "game changing for Brisbane"